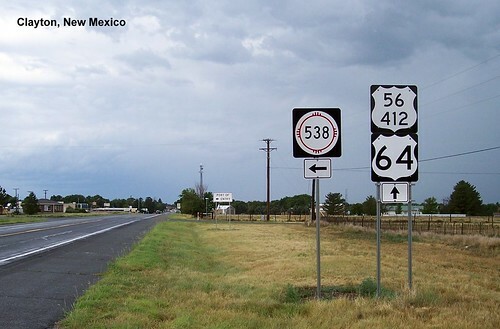 As we enter New Mexico we see 56 sharing a shield with 412. 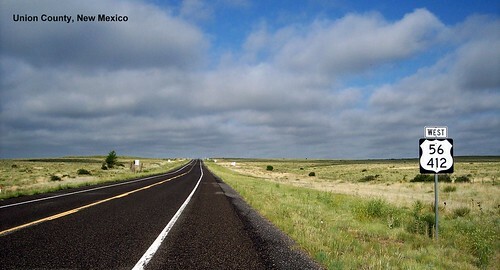 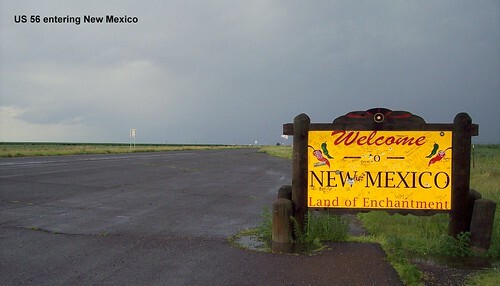 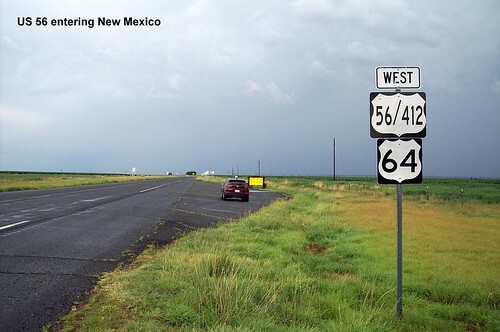 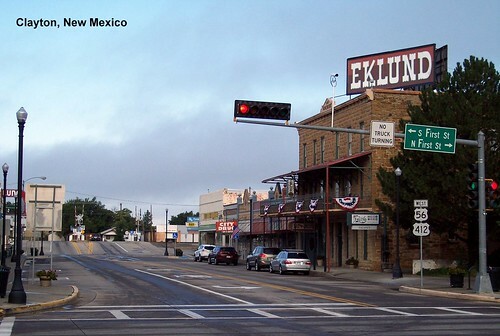 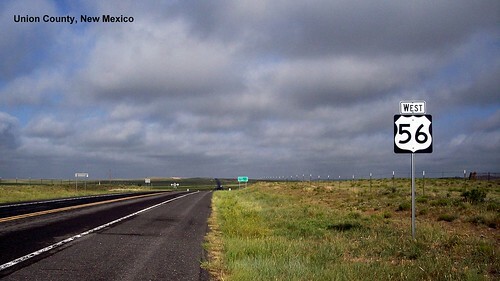 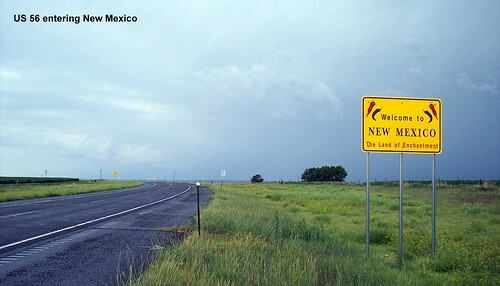 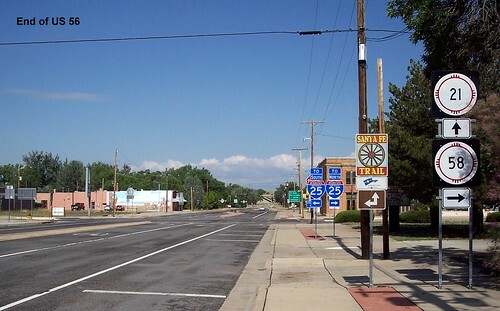 New Mexico has a couple of different welcome signs along US 56. 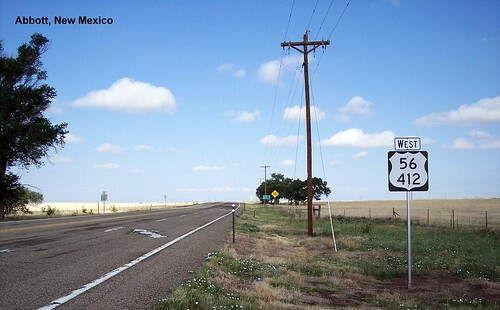 US 56 apparently ends at this intersection in Springer, but there is no signage to indicate that.